Click Here To See Frankenstein's Monster Published Card! 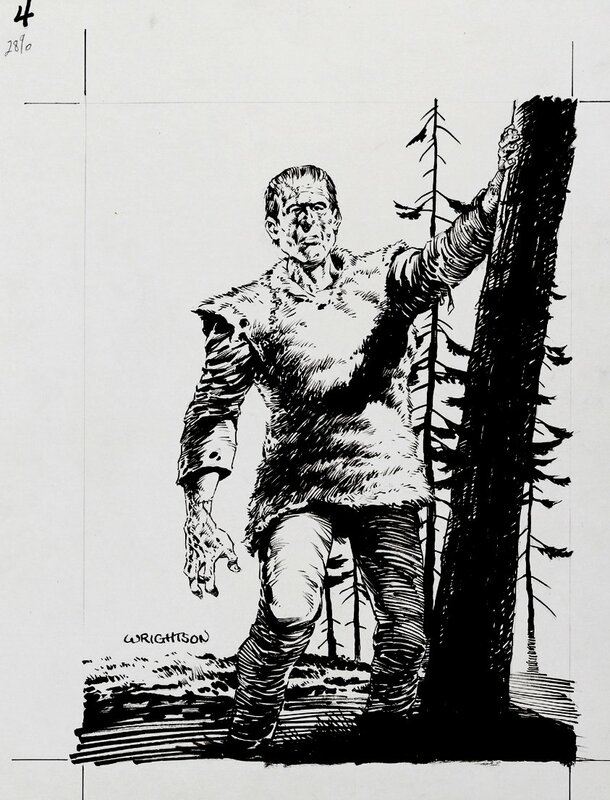 Frankenstein's Monster and the late great Bernie Wrightson are two things that will forever be associated together in the minds of fans. This wonderful published as a promo hologram card for the 1993 "Master Of The Macabre" Card set. The original art is produced in ink over graphite, drawn on 11 by 14 inch white Bristol board. 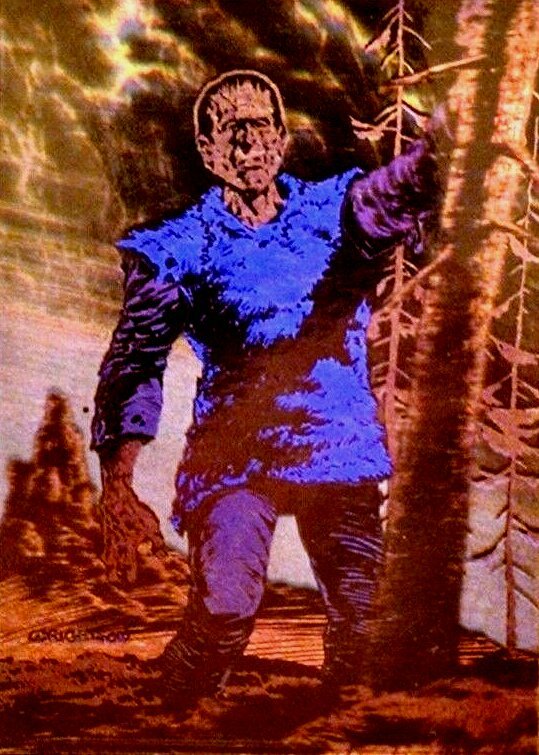 It's EXTREMELY hard to find ANY Bernie Wrightson FRANKENSTEIN MONSTER ART... But here is your chance! Compare this nice art to the published card in the red link above! ALL art on our website (including this one) are able to be purchased with VERY fair time payments, and trades are always considered towards "ANY" art on our website! Just send us an email to mikeburkey@aol.com and we can try to work something out.